Embed Windward in your application to render visually outstanding documents that look precisely the... Created by Windward Studios Inc.
Our application has all the tools and capacity to help you generate fabulously alluring designs and remarkable layouts. Your capacity to imagine is the only endpoint. Prepared to spend less time on creating templates? The demanding pace of business is not a problem with our solution as it can create new templates in just a few minutes. The great thing is you do not even have to know how to program. Our platform’s amazing ability to design, edit, and tailor-make documents within the MS Office Suite offers a flawless and easy experience for you. We tie up the loose ends that usually make template and document generation more expensive and time consuming. Our software helps you achieve your desired templates and documents, in a shorter time with far less expense. So take that giant step to make your dreams a reality. 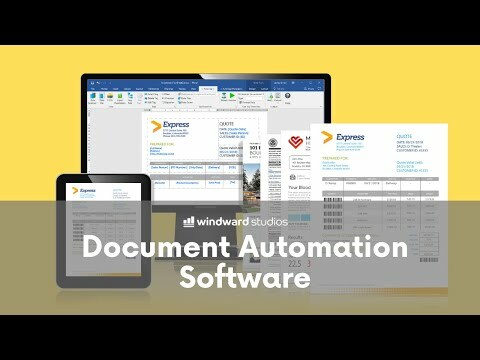 As the top developers in this industry, Windward Studios provides a unique document generation platform for OEM, individuals, organizations, and system integrators. Our document generation software creates dynamic documents that appear just the way you want. This is achieved without any problems and need for alternatives or time-consuming process. Subscription that costs between $250 and $5000. Price may vary depending on commitment and so on. Windward Studios (sometimes referred to as Windward Reports, Windward Designer, Windward Report Engine, Windward Java Engine, Windward Artist, Windward Autotag, Windward Javelin) was added by DavidThi808 in Jan 2011 and the latest update was made in Apr 2019. The list of alternatives was updated Apr 2019 There is a history of all activites on Windward Studios in our Activity Log. It's possible to update the information on Windward Studios or report it as discontinued, duplicated or spam. Alternatives to Windward Studios for Windows, Web, Linux, Mac, iPhone and more. Filter by license to discover only free or Open Source alternatives. This list contains a total of 25+ apps similar to Windward Studios. Maybe you want to be the first to submit a comment about Windward Studios? Just click the button up to your right!